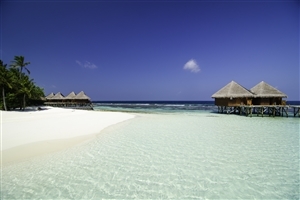 Embraced by the gently ebbing waters of the Indian Ocean, the Mirihi Island Resort brings together modern comforts and traditional elements to create an incredible paradise concentrated on one of the Maldives' smallest islands. 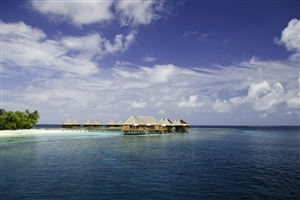 Fringed with palm trees and powder-soft sands, the resort welcomes visitors to uncover such delights as the house reef, soothing spa and 39 intricately fitted villas while being treated to an attentive level of service unique the South Ari Atoll. 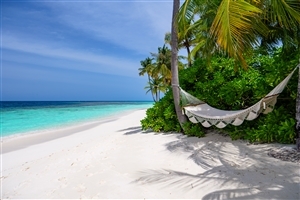 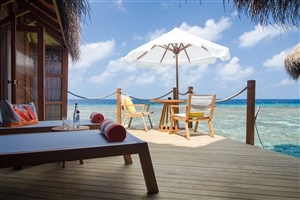 Situated on one of the Maldives' smallest islands in the South Ari Atoll, the Mirihi Island Resort serves as a secluded sanctuary like no other. 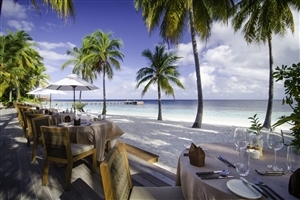 Situated only 30 minutes from Male via seaplane, the resort sets out to entice even the most discerning of travellers with its combination of modern and traditional elements. 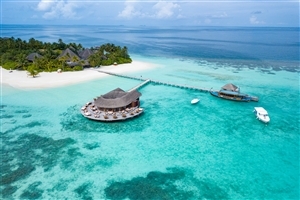 Featuring 39 plush-filled villas, an assortment of eateries to choose from and a plethora of both soothing and recreational facilities, guests are in for the time of their lives at this unforgettable slice of heaven. 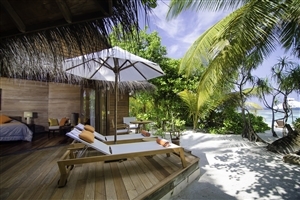 The Beach Villa offers guests 53sqm of accommodation space boasting an open-air design and fitted with a myriad of comforts. 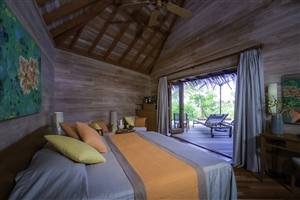 The villa features a sitting area and a private deck for an enhanced occasion. 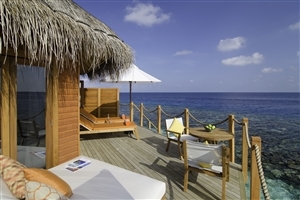 The Water Villa offers guests 53sqm of accommodation space lavishly furnished and fitted with underwater-lights to help admire the ocean at night. 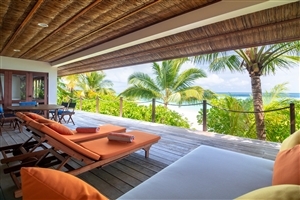 The villa features a sitting area and a private deck that boasts of ocean views. 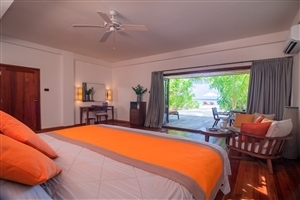 The Two Bedroom Overwater Suite offers guests 160sqm of accommodation space that grants plenty of room to roam while located atop the azure waters of the ocean. 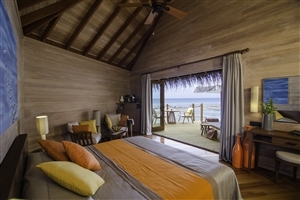 The suite features a living area and two dedicated bedrooms. 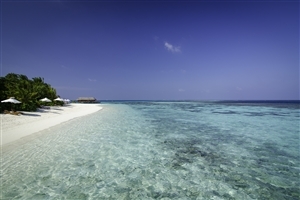 The Beach House offers guests a generously spacious accommodation intricately designed as the ultimate private getaway, ideal for families and group adventurers. 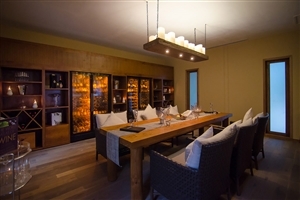 The house features a living area, office space, a kitchenette and a dining area as well as a private garden, a private entrance and a terrace that boasts of sunset views. 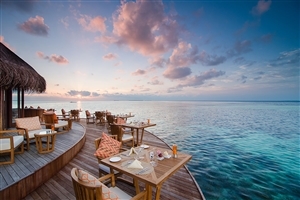 Muraka Restaurant – Intimate dining at its finest at this over-water eatery that serves contemporary cuisine. 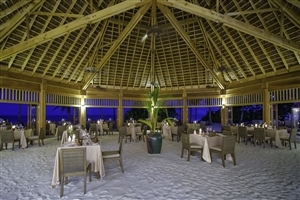 Dhonveli – International specialties and fresh seafood abound at this sand-floored buffet restaurant. 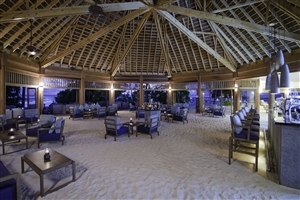 Anba Bar – Enjoy some light snacks and delicious cocktails at this relaxing setting. 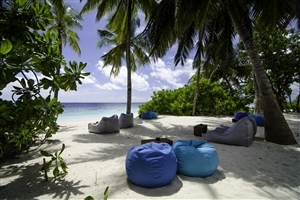 Ruhgandu Wine Lounge – Settle in at this wine lounge whose menu features 300 wines and champagnes. 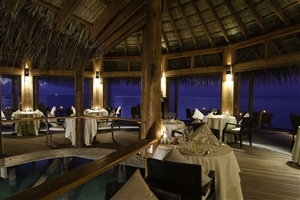 Private Dining - Enjoy a private, intimate dining experience for six guests by arrangement only.